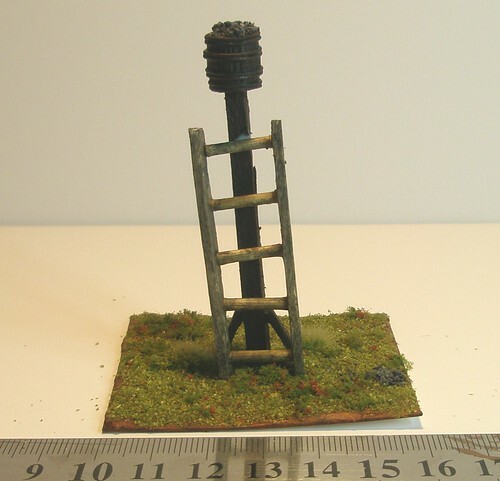 A signal beacon inspired by Tony Harwood's work, but as it was done as part of a speed build at the Guild a bit rougher than I hoped to make it. 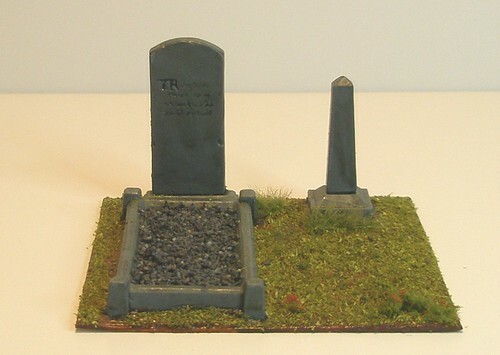 Also I put together two individual graves using Renendra tombstones and three small hedges using the same method as my previous hedges. It takes me up to 7 more terrain pieces finished in August. So a nice addition to my overall painting total. Thanks Tony, very much inspired by your work there. Hopefully some buildings coming soon.